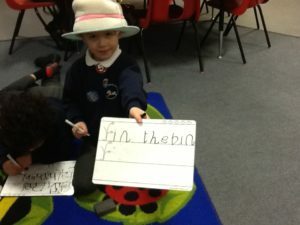 To see what our children are learning look on the class blogs. Year R parents log on to your Tapestry account to see what your child is learning in more detail. We want our children to love learning. 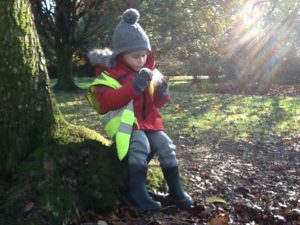 We believe that by teaching our children that learning is hard and messy but if we persevere and try we will gradually learn to do something we find hard. We also believe it is important for our staff to be continually learning. As a result we make a range of training available that supports our school improvement eg Insets on Growth Mindset and Guerilla Learning, Behaviour strategies and attachment. Our school is part of a learning community and members of staff are working with the University of Winchester on action research that will benefit our children’s learning. We openly talk about “muddles” being good and teachers will model being muddled. When we talk to children about their work we try to unpick their misconceptions and go back and teach the next steps that the child needs to learn to make sure they can address their misunderstanding. We talk about the “magnificent struggle”. We have 4 learning heroes that we talk about all the time in class. They illustrate in a friendly way the key learning behaviour or attitudes we believe our children need to use to be successful in school and in adult life. Toby Tortoise – he is resilient. He doesn’t give up. Sally Squirrel – she is resourceful. She applies what she knows to solve a problem. Emily Elephant – she is reflective. She looks back at her work to mark how she can make it better. Bert Bee – he works well on his own or in a team. He contributes ideas. Please click on the link to find out more about our Learning Heroes in our Building Learning Power parent booklet. At Calmore Infant School, our aim is for every one of our children to become independent, successful and lifelong readers and consequently writers. Above all, we want our children to enjoy reading so we have called our reading intervention programme R.I.S.E. (Read Independently, Succeed and Enjoy). All of our children receive first quality teaching for all areas of the curriculum including reading, writing and phonics. This first quality teaching within the classroom is often enough for many children to learn to read and write successfully however other children need extra support. At Calmore Infant School, we provide varying degrees of support for any reader who is struggling, needs a little extra support or a boost to help maintain their progress in reading. See our Curriculum page for further details. See what Year R are learning. See what Year 1 are learning. See what Year 2 are learning.